Android is one of the world most widely held mobile platform. Android platform is owned by Google, with Android we can use all the Google apps, it’s fully customizable you can use as you want. At ‘techtabloids’ we have organized some useful tips that will help you in personalizing your Android device, in this tutorial we will explain 5 tips and this is the ‘part one’ of our tutorial, with lots more to come. So without messing around let’s start with the tips. This tutorial will enlighten you how you can personalize your Android Phone. When you want to add the widget on your home screen, there will be lots of space available you can add any widgets simply. Always try to use folders, as it will make your home screen much cleaner and in shape. 3. If you want to rename your folder, just open it and press and hold the title bar. 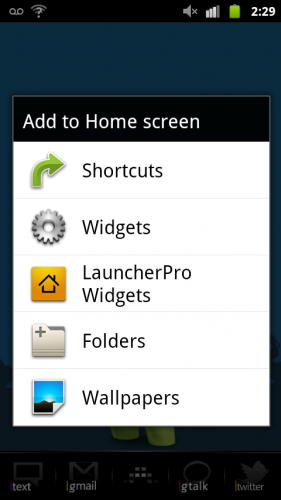 These five tips that I have explained will defiantly help you in personalizing your Android Phone home screen. Stay tuned to techtabloids for the second part, where we will enter in the Android Phone Management.